Friday morning, a shocking discovery was made outside Morris, Illinois. 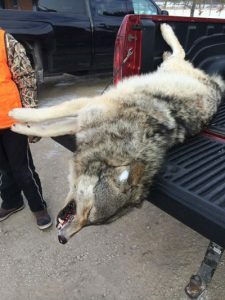 A female Gray Timberwolf was discovered dead alongside a road by a father and son while they were driving to a controlled pheasant hunt at the Erianna Hunt Club. On their way to the club, the son spotted what appeared to be a large dead coyote alongside the road and the two quickly pulled over to investigate. Upon realizing that the animal was more wolflike than a coyote, the father and son contacted the Illinois Conservation Police. The Conservation Police supposedly have sent the animal off for identification and that is all the information we have. It is suspected that the animal was struck and killed by a vehicle. 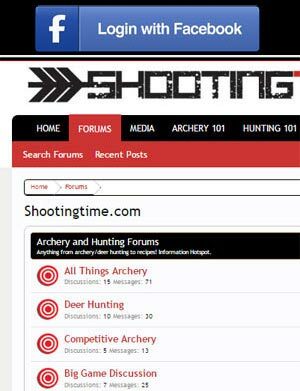 Shootingtime.com contacted wolf expert John Basile of the Big Run Wolf Ranch in Lockport, Illinois and he gave us his opinion on the animal. “No doubt about it, that’s a Gray Timberwolf and a prime example of one.” John has over 30 years of experience with wolves and other predators at his ranch so we are confident in his analysis. How did the wolf end up near Morris, Illinois? According to wikipedia, the gray wolf’s current range nearest to Illinois is northern Wisconsin and Minnesota. Could the gray wolf have migrated this far south? Well, anything is possible. Animals have been known to travel long distances in search of food and we all know that Illinois has an abundance of deer. Due to their natural cover, river systems often act as protective highways for many animals. Through these travel corridors, the gray wolf or wolves could have navigated south into the Land of Lincoln and set up permanent residence. We know we have proof of one wolf now, but how many are there? Aside from this case in Morris, there have been many other claims of wolves being spotted. The range of these sightings that we have received have all been within 20 miles from Morris. One bowhunter has even quit hunting his favorite woods due to what he believes is a pack of wolves. Conspiracy theorists speculate that the gray wolves have been introduced by the Illinois Department of Natural Resources in an attempt to lower the whitetail deer population. Is this far fetched? Judging by the DNR’s culling operation, it may not be. In the last 5 years or so the Illinois DNR has ran an aggressive deer culling program in northern Illinois in the name of “Chronic Wasting Disease Control.” Has this worked? Well, some believe that after a deer herd’s population has been drastically reduced by culling, deer from nearby areas will move into the culled area and fill the void. To many, this deer migration would help spread CWD (Chronic Wasting Disease). If the culling of deer is not done to stop the spread of CWD, then why cull deer? Crop damage is a real thing and impacts farmers right in their pocket book. To combat crop damage due to deer, the state will issue nuisance permits to the farmer/property owner. This is a successful measure that has been used for years. Lyme disease is serious disease that can be fatal if left untreated. In 2013 there were 337 reported cases of Lyme disease in Illinois according to the CDC. A study in the Journal of Medical Entomology has shown that by reducing a deer herd, there was a proportional decrease in Lyme disease cases. Although controlling Lyme disease is indeed a good thing, many people point the finger at insurance companies. Its common knowledge that in today’s United States of America the all mighty dollar controls a lot. 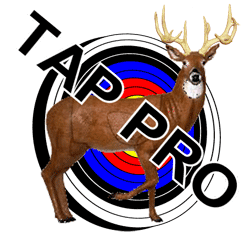 It’s speculated that insurance companies have the biggest interest in controlling the deer population. Its simple, the fewer vehicle and deer accidents there are, the less the insurance companies have to pay out. Numerous reports have shown that since the IL DNR started the aggressive deer culling, the number of vehicle and deer accidents have decreased. Back to the gray wolf in Morris. 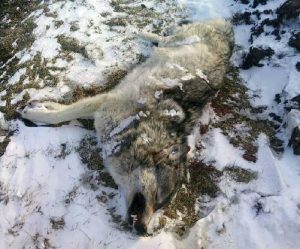 What led to this powerful predator being found in an area not known for wolves? Until extensive research is done and answers are delivered to the public, we will probably never know. There is one thing that we do know for sure; the speculations of why and how this wolf ended up near Morris will be very controversial and entertaining.